Indian cricket has been blessed with some of the best batsmen to have played the game. Gavaskar, Tendulkar and now Virat are considered one of the best in their era. Sachin is the holder of most records in batting in ODI cricket, which are being broken by Virat with utmost ease. Apart from that, India has the most number of batsmen scoring above 10000 ODI runs (5 - Sachin Tendulkar, Saurav Ganguly, Rahul Dravid, MS Dhoni and Virat Kohli). While batsmen like Tendulkar, Rohit and Kohli made certain batting positions their own, others like Dravid and Dhoni floated in the middle order according to the situations. Someone like Rohit did not prosper in the middle order and was tried at the top, much like Sachin, and the rest is history. Someone like Dhoni took up the finishing job and usually batted at 6 or 7 and dominated bowling attacks at the death. 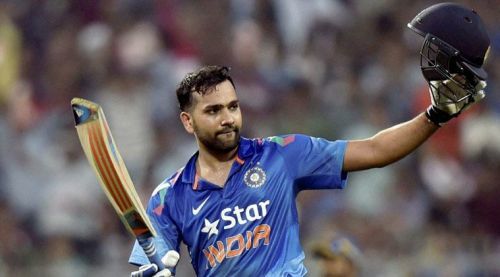 The man with the most 150+ scores in ODI cricket, Rohit Sharma has 3 double hundreds to his name. His second double century came at his favourite ground, the Eden Gardens against Sri Lanka in 2014. His 264* off 173 balls also remains as the highest individual score in ODI cricket. He scored more than 65% of the team total and 13 more than the opposition total. His mammoth innings included 33 fours and 9 sixes. India won the match by 153 runs.